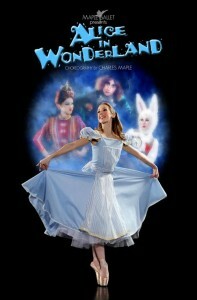 Based upon Lewis Carroll’s famous stories Alice’s Adventures in Wonderland and Through The Looking Glass, Maple Ballet is proud to present its acclaimed production of this much-loved childhood classic about Alice’s tumble down the rabbit hole into an enchanted and wacky dream world full of strange characters and magical adventures! 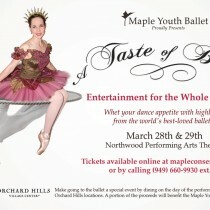 Featuring original choreography by award winning choreographer Charles Maple, this full-length story ballet matches opulent costumes, sumptuous scenery and a stunning array of special effects with comic charm and virtuoso dancing. Audiences will be captivated as they join Alice as she follows the White Rabbit down the rabbit hole, takes tea with the eccentric Mad Hatter, teases Tweedledee and Tweedledum, meets the Cheshire Cat and stands up to the infamous Queen of Hearts. 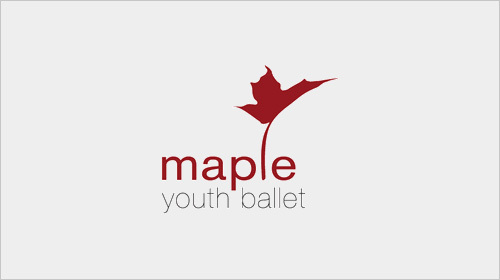 This production is an action-packed dream world transformed through the magic of dance into pure enchantment that will surprise and delight audiences young and old. 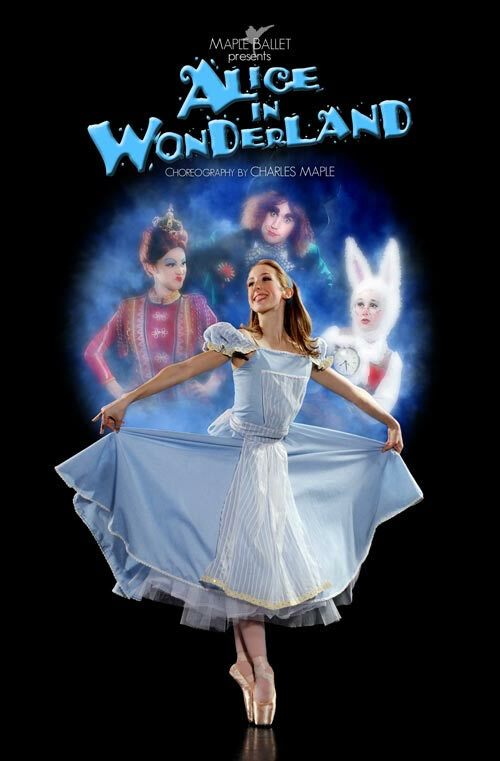 This Alice promises to take you beyond the classic fairy tale in terms of cleverness, humor and originality and one will cannot help but leave the ballet with a bit of a Cheshire cat’s grin! Our last production of Alice in Wonderland was SOLD OUT! 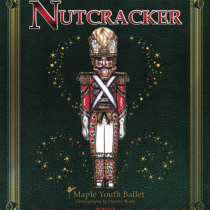 The Maple Youth Ballet’s The Nutcracker, masterfully performed under the directorial guidance of award winning ballet choreographer and artistic director, Mr. Charles Maple, has earned accolades and praise for his full-length rendition-with-a-twist of E.T.A. 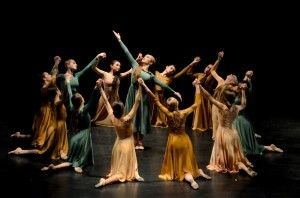 Hoffman’s timeless holiday tale, set to Tchaikovsky’s majestic score. 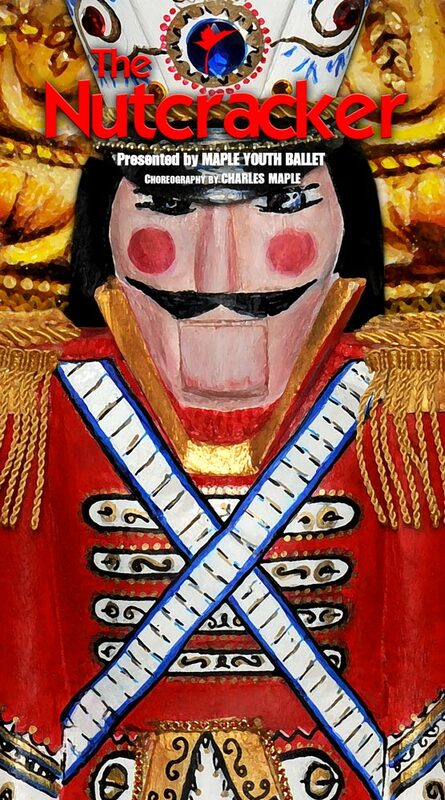 Opulent handmade costumes, masterfully created original stage sets and glowing special effects include a life-size gingerbread house, a Swarovski crystal curtain and eight-foot teapot. 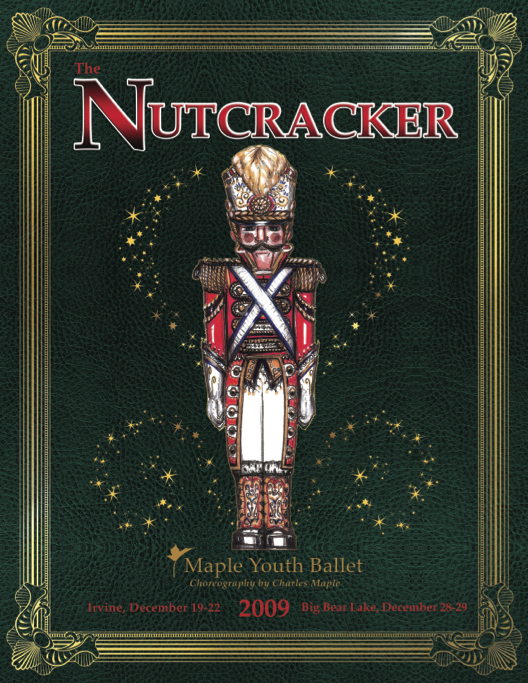 Set against 50’ hand painted backdrops and a spectacular 55’ growing Christmas tree, The Nutcracker showcases dancing snowflakes, whimsical fairies, and an array of spirited characters such as the sinister Rat King and Mother Ginger. 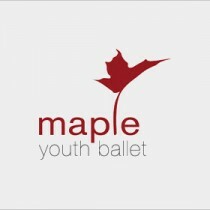 The Maple Youth Ballet’s production is one of the most treasured productions to date. 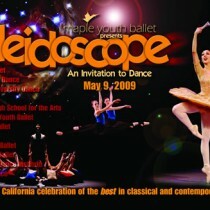 It marries substantive choreography with eye-popping production values. 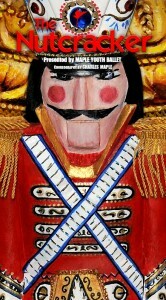 It’s colorful and accessible child-centric story has become an affordable holiday choice among Southland families of all ages. The Stars of Tomorrow, On Stage Today! 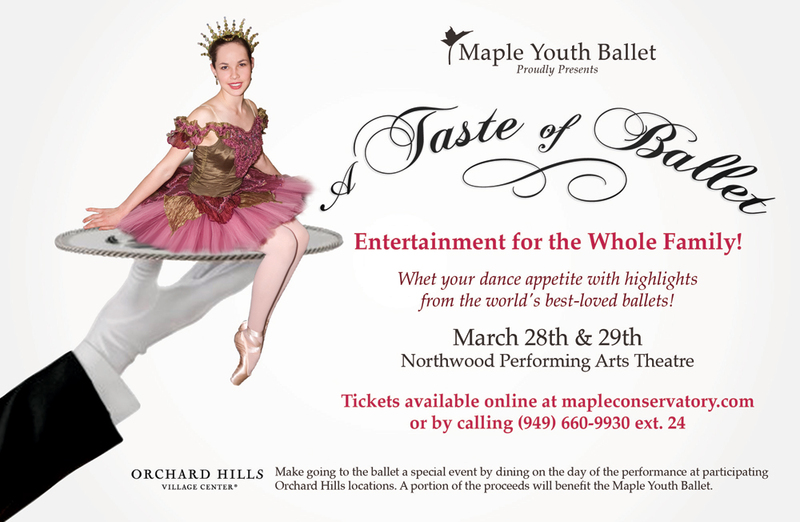 A kaleidoscope of exciting dance featuring the exceptionally talented dancers of the Maple Youth Ballet and the Maple Conservatory of Dance. 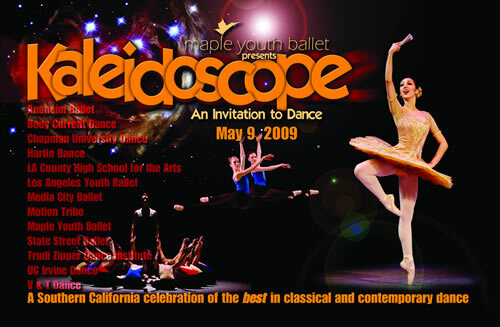 This dazzling performance is designed to showcase these beautiful classically trained students’ skills and accomplishments over the past year. 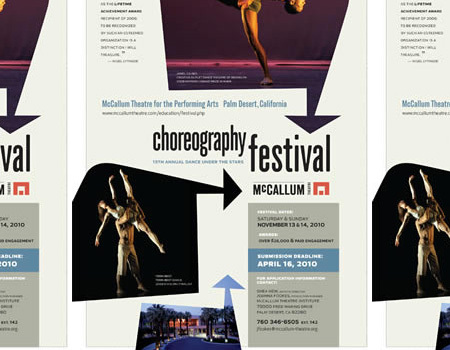 The showcase features original works by award winning Maple faculty members whose professional backgrounds lend authority to their stagings and give students valuable experience in various historical styles. 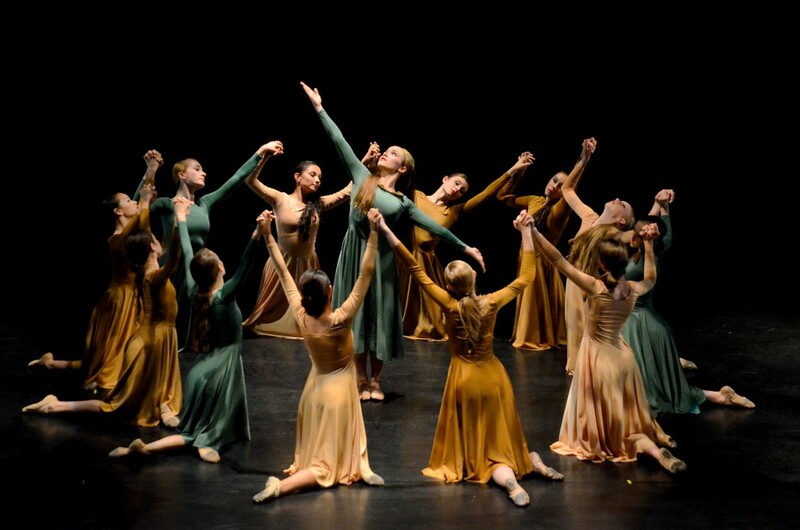 These annual performances develop discipline, musicality, endurance, choreography memory and stage presence in the students as they prepare for professional life. 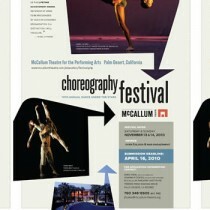 The diverse works run the gamut from the comedic to the emotionally charged. All of the works are sure to entertain the entire family.